If you want to make your backyard or garden area truly stand out, you need to visit us at Everton Nurseries and we will steer to the right direction. Let's face it, there are so many ways you can go with your garden and backyard decoration ideas. The problem is that there seems to be so many options, but only a narrow range of decor ideas actually make sense in your particular situation. This is why we recommend that you come to our garden centre and speak with one of our eager and knowledgeable staff members so they can guide you through the many different decoration options you have. By looking at your design and decoration needs through a categorical or theme-based system, you can easily identify which design directions make the most sense for your particular garden. 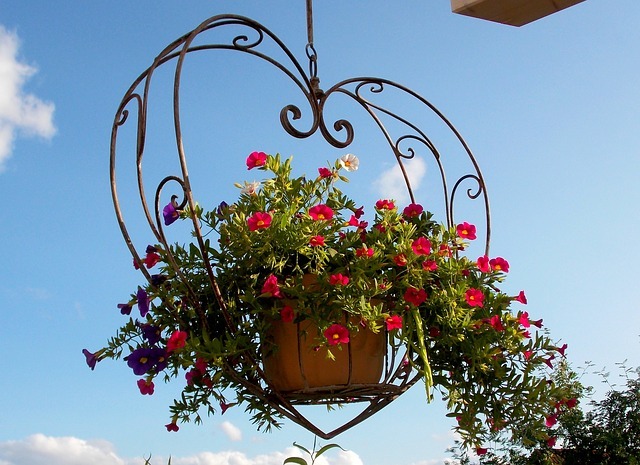 This category or theme-based approach is why so many of our customers buy all sorts of distinctive decor items, such as the hanging baskets Lymington homeowners have fallen in love with for years. We understand that decorating and finding the right pieces can be a very confusing and distracting process. This is why we have learned from our customer feedback to offer only the very best items that have the highest chance of actually being used by our customers. Originally, we didn't offer the many types of hanging baskets Lymington customers were enquiring about. We offered the same items every other garden centre was offering. 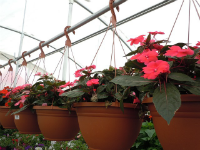 After enough feedback, we sought out and offered decorative hanging baskets Lymington gardeners preferred and we've had many loyal customers from Lymington and surrounding areas. We share this experience to let you know that Everton Nurseries is your dedicated partner in your efforts at putting together a truly amazing backyard or garden space. Come visit us today and take advantage of our many years of experience making our customers happy. 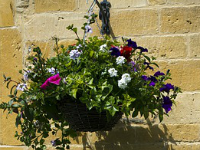 Get the beautiful hanging baskets Lymington residents cannot stop talking about!